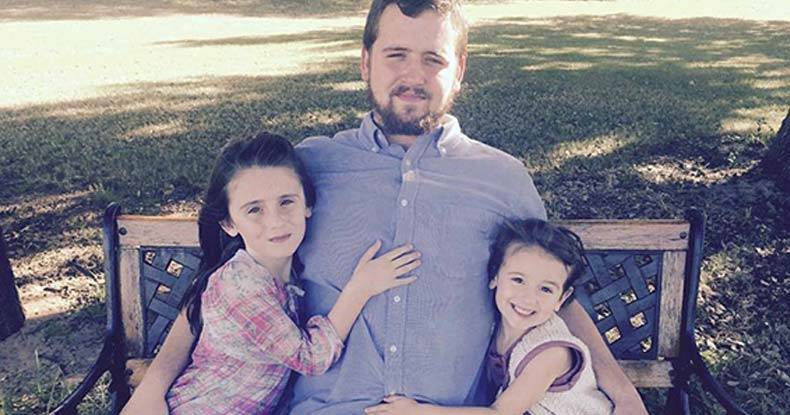 Phoenix, AZ — Mesa Police Officer Philip Brailsford has been charged with the second-degree murder of Daniel Shaver, an innocent father of two. The shooting was captured on his body cam. On January 18, Brailsford, along with several other officers, responded to a call about a suspect with a rifle in a hotel room. The ‘rifle’ was nothing more than a pellet gun that was used in Shaver’s business of pest control. However, Shaver was not in possession of the pellet gun when he was murdered in cold blood by officer Brailsford. The officer said he could no longer see Shaver’s right hand and worried that Shaver could have easily drawn on officers, who were just feet away in a hallway outside his room. “So that’s when I assessed the threat. I fired my weapon, uh, five times,” Brailsford said, adding that it was terrifying the first time Shaver reached back. Charging an officer with murder in Arizona is an exceptionally rare incident, which speaks to the severity of what must be shown on the body camera. It also means that this coward officer was in no danger when he decided to pull the trigger — 5 times. However, thanks to their secrecy and corruption, the Mesa Police Department and Maricopa County prosecutors are keeping the video a secret. During an interview with Maricopa County attorney, Bill Montgomery, Laney Sweet was given the ultimatum — watch the disturbing video and never speak of it, or don’t. The widow of an innocent man, killed by the government, was told that the video proves her husband did not deserve to die. In a statement to the press, the county stated that Daniel Shaver was complying with officers, crawling on his hands and knees and begged not to be shot, just before Brailsford opened fire. “Please don’t shoot me,” Shavers is quoted in the police report. Despite the damning evidence against him, showing that he murdered an innocent man in cold blood, officer Brailsford is facing a maximum sentence of only 3.75 years. “I feel like if you were sitting in my position, you would understand that 3.75 years is a slap in the face,” said Sweet when speaking to the county attorney. Brailsford was fired from the department last week for multiple policy violations not associated with the murder of Shavers. After he was fired, we learned that he should have never had a badge that night he killed an innocent man. Aside from his unsatisfactory performance, record released by Mesa Police revealed the Brailsford was accused of beating three people a few months before he killed Shaver. He also etched profane language into his AR-15 police rifle — illustrating his disregard for human life. Two children and a wife will now live the rest of their lives without their loving father because of the actions of this public servant. The one thing that could help get this family closure is to see the man who stole the life of their dad and husband put behind bars. However, thanks to a system that is set up to protect killer cops — this will likely never happen. In a YouTube video posted on Tuesday, Laney Sweet, Shaver’s wife, called for the release of the video tape.